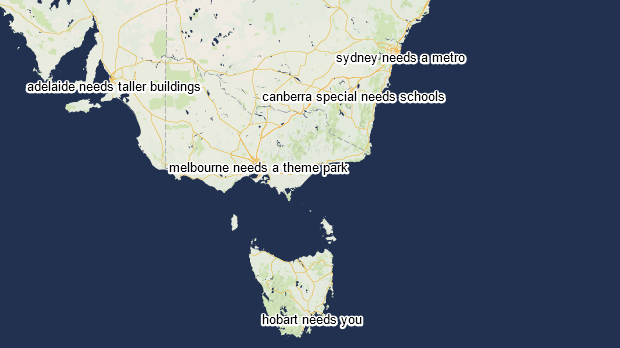 The “Why is Australia…” map shows the Google autocomplete results for Australian states and major cities that appear in Google search when you type in 'Why is (state) so ...'. According to Google, everybody is in a state of constant surprise about how hot this country is. Unless they visit Canberra – then they only want to know why it is so cold. No surprises here!